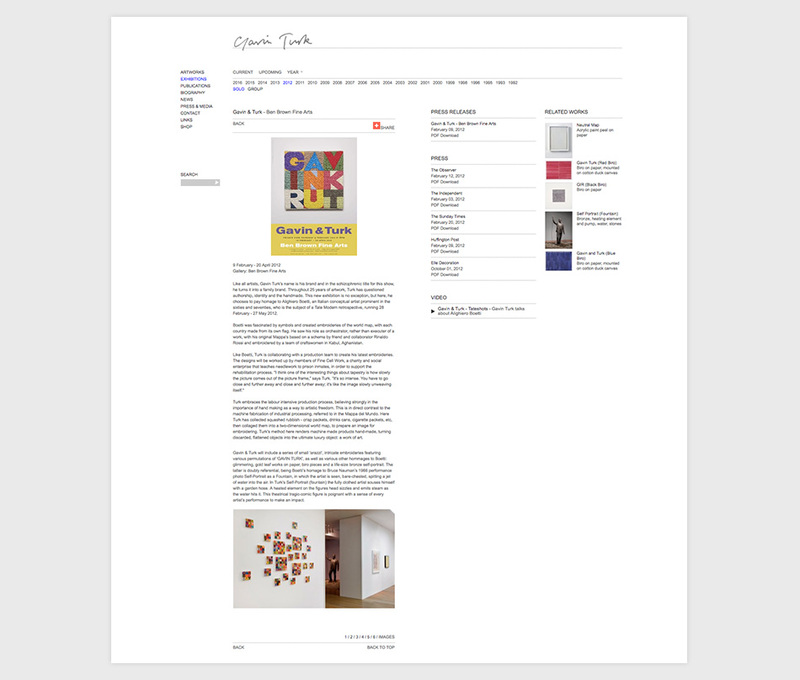 Website for Gavin Turk consisting of portfolio of works, exhibitions, and media spanning more than twenty years. Engaging in the central modernist debate initiated by Marcel Duchamp, Gavin Turk has subsequently produced an extensive body of work exploring notions of authorship, identity and value. 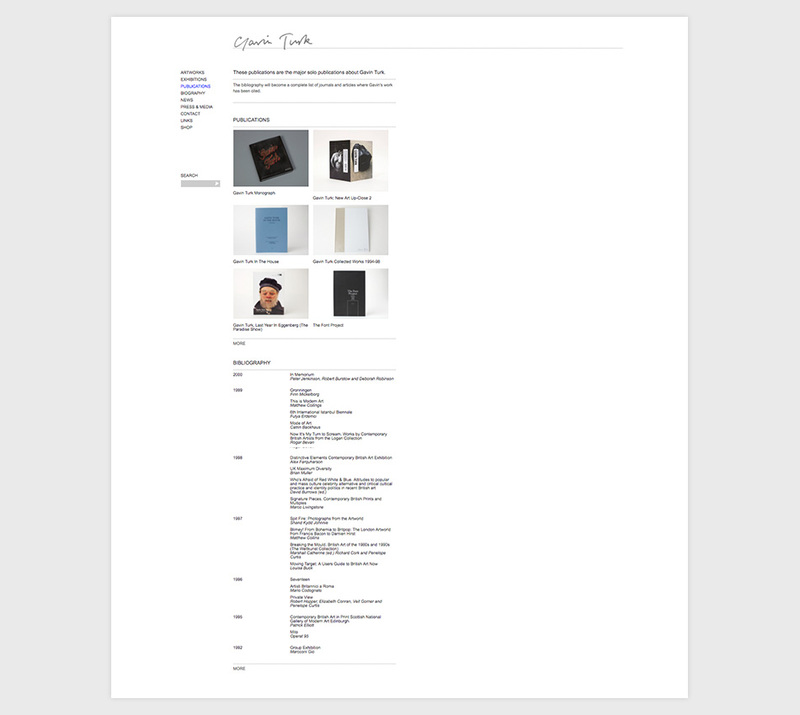 Our brief was to create a website that would allow him to collate, manage, and archive all his work, exhibitions, publications, press and media. We quickly concluded that with the expansive information we had to present that a minimal design would make the site more functional. With planning and development of the framework and design proceeding simultaneously we found more ways to introduce additional functionality to both front and back-end, with all related works, exhibitions, media, and press relationships to be created between each content type. Artwork can be found via the image archive listing or through specific keyword/tag list. 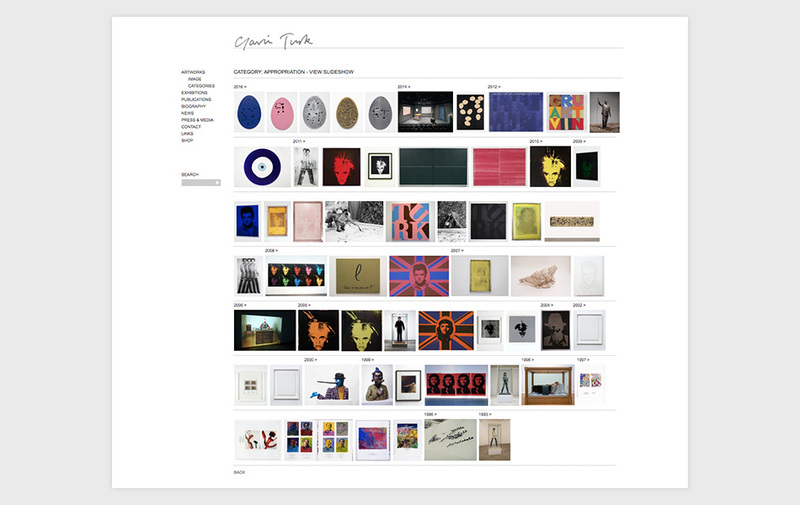 The creative use of tags allow visitors more opportunities to find new works when browsing. 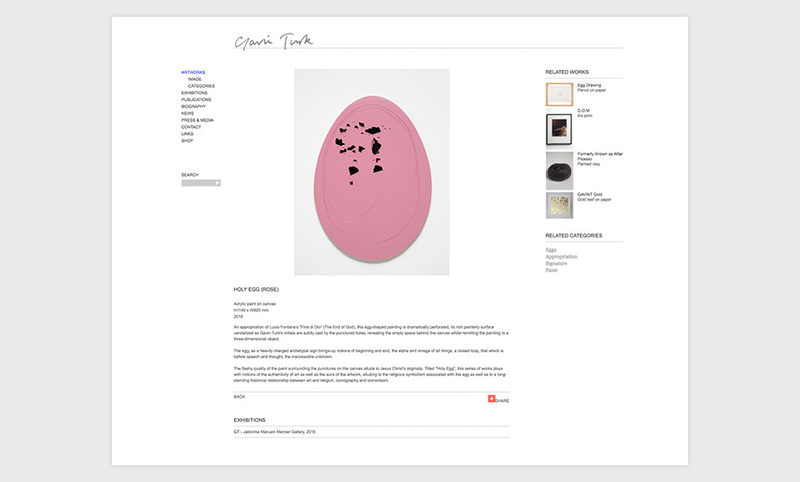 These tags, published on the homepage, also provide a glimpse into the mind of Gavin Turk.